It’s a privilege to accompany Scouts to summer camp, the greatest week in a patrol’s year. We seize every opportunity to let the Scouts do things independently. While at camp I put myself and the other adults of guests and observers. We define our area in the campsite (not the choice, prominent most comfortable area- give that to your Scouts) and stay in it. 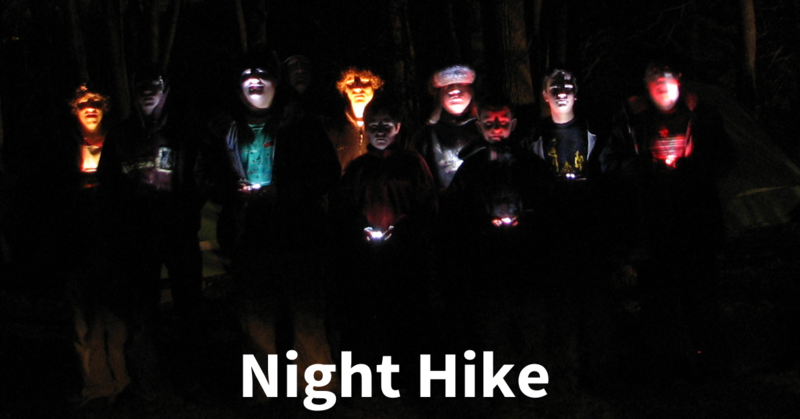 We don’t follow our Scouts around camp nor, with rare exception, lead them around camp. We don’t shadow their choices of merit badge or their progress. Act like you are visiting a drive-through wild animal park. At the park you have to stay in the car; sometimes the animals come right up to the car and you can feed them; but you have to stay in the car. Safety, basic cleanliness and health issues. 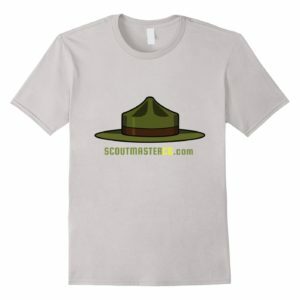 Overall happiness and inclusion of every Scout. Daily patrol logs and patrol leader’s council meetings. Discussing things during meals with the senior patrol leader (not for the whole meal – give him some breathing room!). Letting many things resolve themselves without stepping in. Strengthen the idea that the Scouts are leading themselves – they have actual responsibilities that matter. Talking with new Scouters from our troop, helping them grasp teh essentials. Once in a while we get to cross the observer’s line into a game or activity if we are invited, we don’t want to miss out on all the fun. 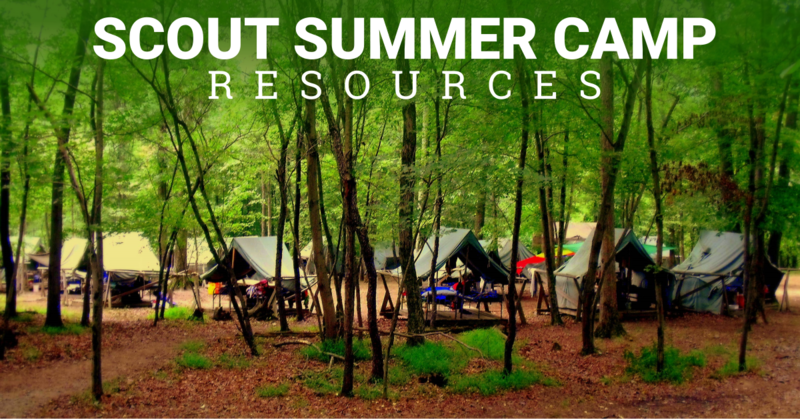 Here’s some more resources for planning, preparing, and enjoying your stay at Scout summer camp. 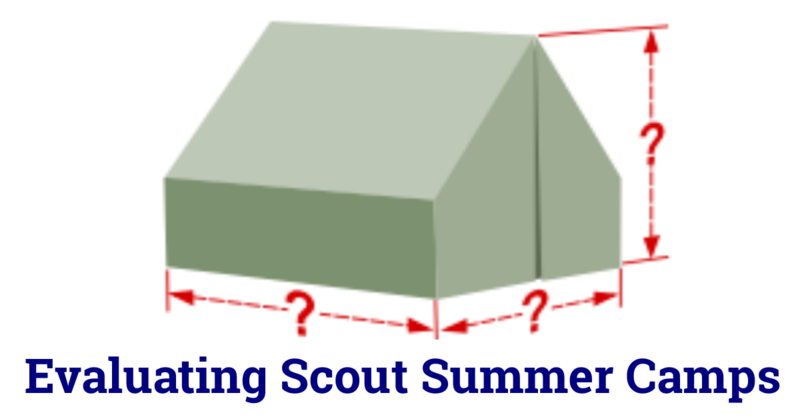 Two troops, same Scout summer camp, same week; one troop has a wonderful time and goes home smiling, one has a difficult time and leaves unhappy. Some of my fondest Scouting memories come from the years I spent working on our Scout summer camp staff and serving as a camp director. 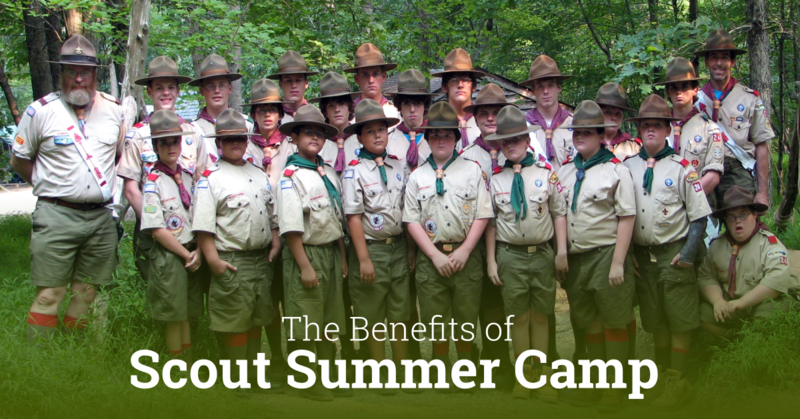 After observing hundreds of troops and thousands of Scouts for a dozen summers I learned there’s one thing that makes or breaks a week at camp. Is it the facilities, location, staff, or program? Can these things assure that your stay at camp this summer will be a positive one? The short answer is no, evaluating a camp’s facilities, location, staff, or program actually has very little to do with the experience you’ll have once you are there. Your son comes home from Scout summer camp more capable and mature than the boy you waved goodbye to a short week ago. 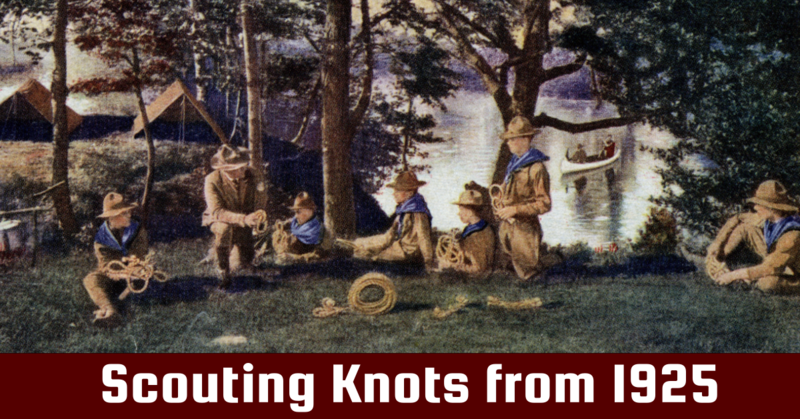 Outside of the normal support structure of his family, away from the solitary distractions of modernity, a Scout must both take care of himself and cooperate with his peers. He does all this in a supportive environment that permits failure without compromising safety. He’ll be challenged to expand his abilities, to accept and offer help, and to function cooperatively in everyday tasks. 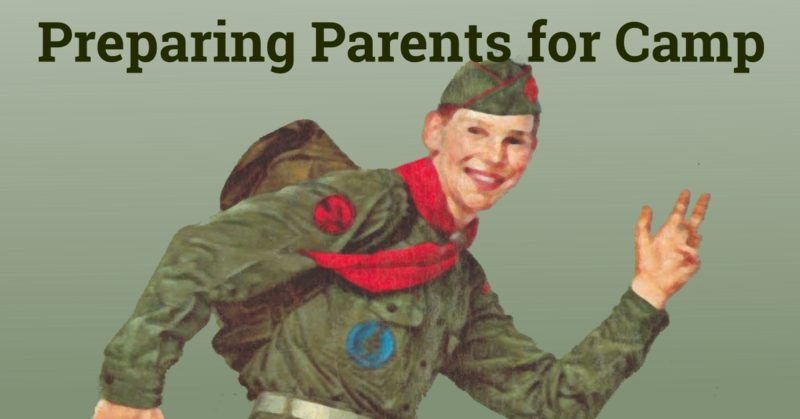 Parents are usually less prepared for summer camp than their sons. Parents concentrate on preparing children for summer camp but may be unaware how much they will miss and worry about their child. They may feel uncomfortable turning over full-time care to people they have just gotten to know. They worry about what kind of food he’ll be eating, who will be looking after daily concerns like clean clothes and taking a shower, if the other boys will tease him. 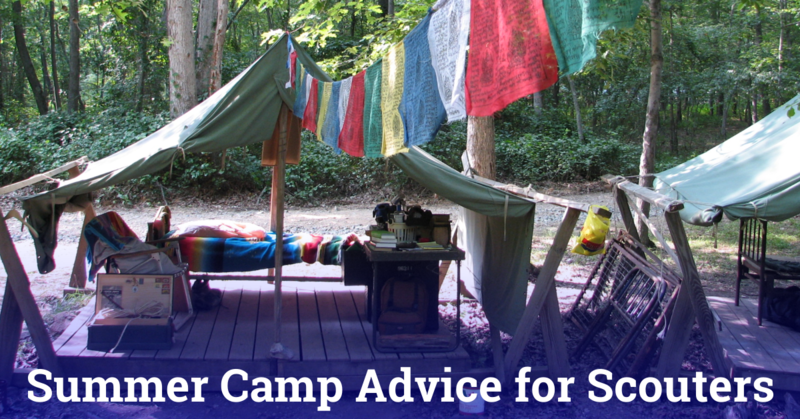 Here’s some summer camp advice from a former camp director to anyone fortunate enough to spend a week at summer camp as a Scouter. 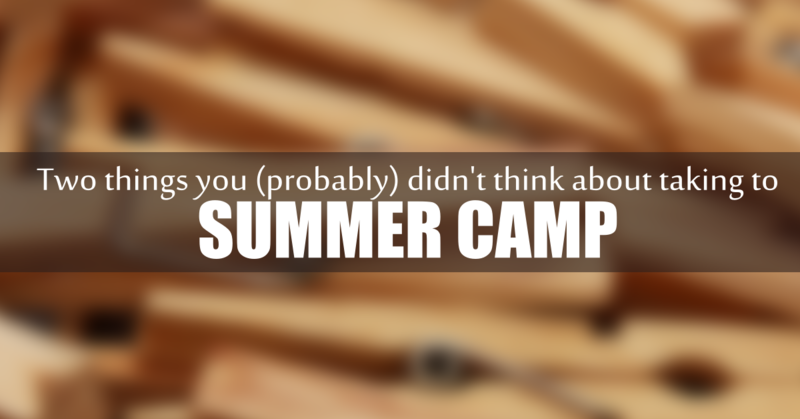 You’ll want to read this especially if you are an adult attending summer camp for the first time. 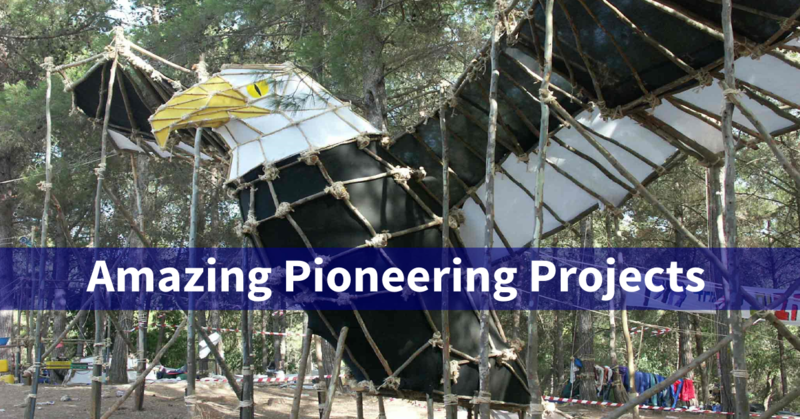 It can be challenge for adults to keep their eye on what is important to shaping an great experience for Scouts. 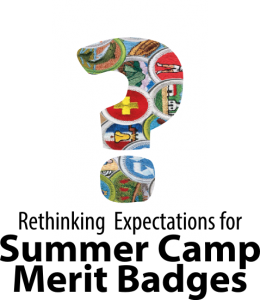 What are your expectations for summer camp merit badges? 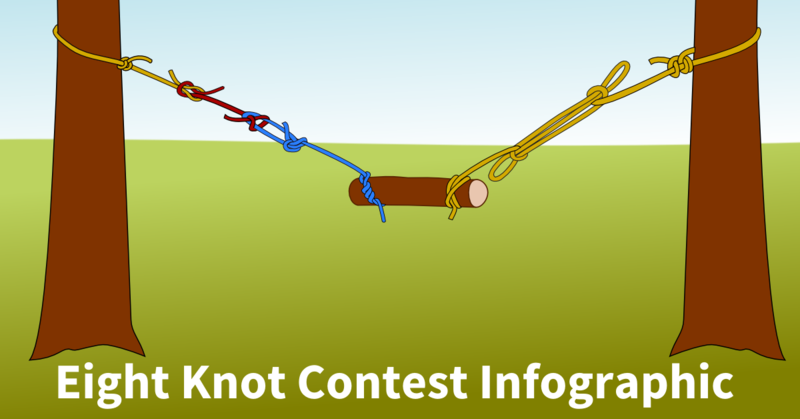 To most of us and to nearly all of our Scouts the central feature of the week at camp is earning merit badges. What if, instead of emphasizing earning badges we started thinking about inspiring the love of learning and inquiry? 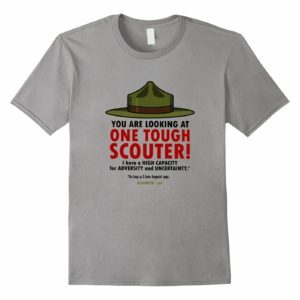 What would our Scouts do with an opportunity like that? Homesickness is not imaginary, it’s not an indication of weakness or lack of character, it’s not a symptom of bad parenting or bad leadership and, thankfully, it’s reasonably easy to prevent. While homesickness is common a good prevention plan can make it less powerful. 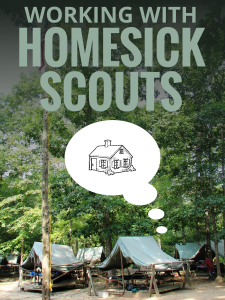 By familiarizing Scouts with the camp experience, building transitions between home and camp, and establishing a contact plan you’ll prevent the most common causes of homesick Scouts. 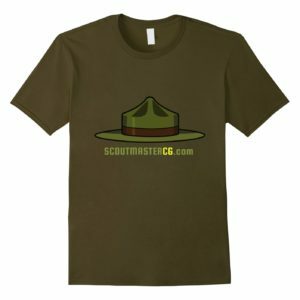 I may not be the most congenial Scoutmaster in summer camp. Sharing a campsite with another troop is a real struggle for me. You get three choices – cooperate, ignore, or tolerate. If two troops have very different styles it’s usually pretty difficult. 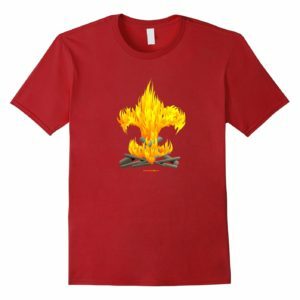 For this reason we almost never camp with other troops or near the general public. 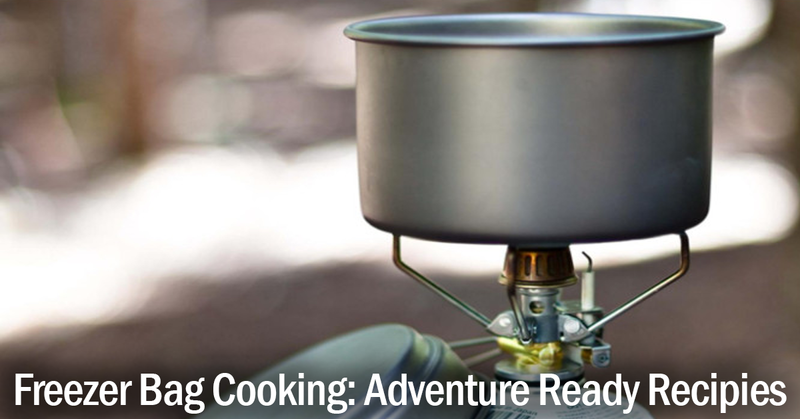 Read these ideas if you do have to share space with another troop. Two humble things find a number of uses at summer camp; clothespins and index cards. 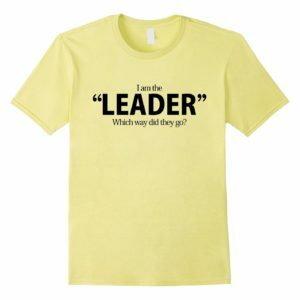 I usually have a pocket full of index cards, and use them all day long to take notes, leave messages, and post reminders or notices for youth leaders. With clothespins or thumbtacks I can clip them to a tent flap, a branch, or pin them to our bulletin board. While at camp I put myself and the other adults of guests and observers. We define our area in the campsite (not the choice, prominent most comfortable area- give that to your SPL) and stay in it. 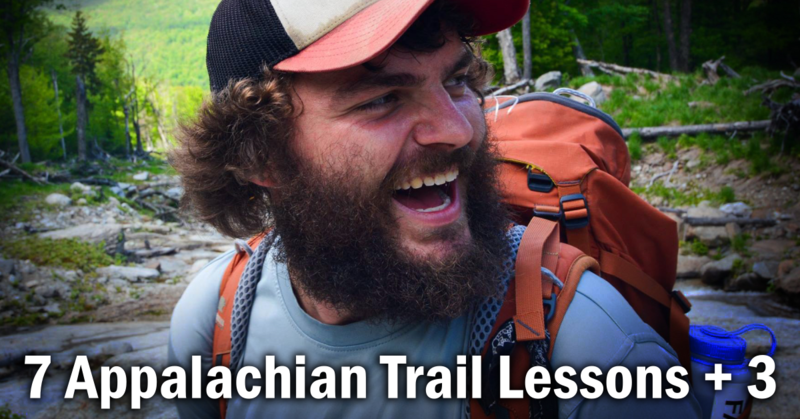 We don’t follow our Scouts around camp and with rare exception don’t lead them around camp. We don’t shadow their choices of merit badge or their progress. We seize every opportunity to let the Scouts do things independently.